Local delivery is free!! 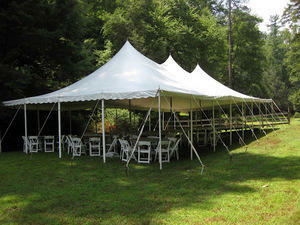 This package includes... (1) 30x60 Pole Tent, (18) 5' Round Tables, and (150) White Chairs! !